The Australian Government Attorney-General’s Department has released a ‘Safety Plan’ to protect persons at risk offorced marriage. Under the Commonwealth Criminal Code Act 1995 (“the Criminal Code”) it is illegal to cause a person to enter a forced marriage, and to be party to a forced marriage. Where one party gets married without freely and fully consenting because they have been coerced, threatened or deceived. What does this crime apply to? The crime applies to legally recognised marriages, which include cultural or religious ceremonies and registered relationships. It also recognises marriages that occur in Australia, including a person who is either brought to Australia and/or taken overseas to get married. The conduct of any person involved in bringing about the forced marriage, including family members, friends, wedding planners and marriage celebrants can also be charged under the Criminal Code. 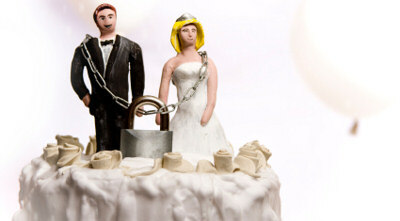 Expand the definition of ‘forced marriage’ under s 270.7A of the Criminal Code to include circumstances where a person does not freely and fully consent because he or she is ‘incapable of understanding the nature and effect of a marriage ceremony.’ This particularly applies to children and persons with a disability. Increase penalties for those involved in forced marriage under 270.7B of the Criminal Code. Penalties proposed to increase the term of imprisonment to 7 and 9 years. The Bill has been referred to the Senate Legal & Constitutional Affairs Legislation Committee. If you think someone is in, or at risk of a forced marriage, you can contact the Australian Federal Police anonymously on131 237. In an emergency, dial Triple Zero (000).